Since 1985, we have provided 100’s of businesses like yours to spent less time and generate more Sales. Our team has more than 70 years construction and engineering industry experience which means you are working with experienced which can show you how to achieve your goals. 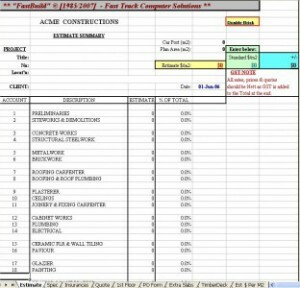 If you work in the building and construction industry, let us show you our “FastBuild” (c) Solutions. 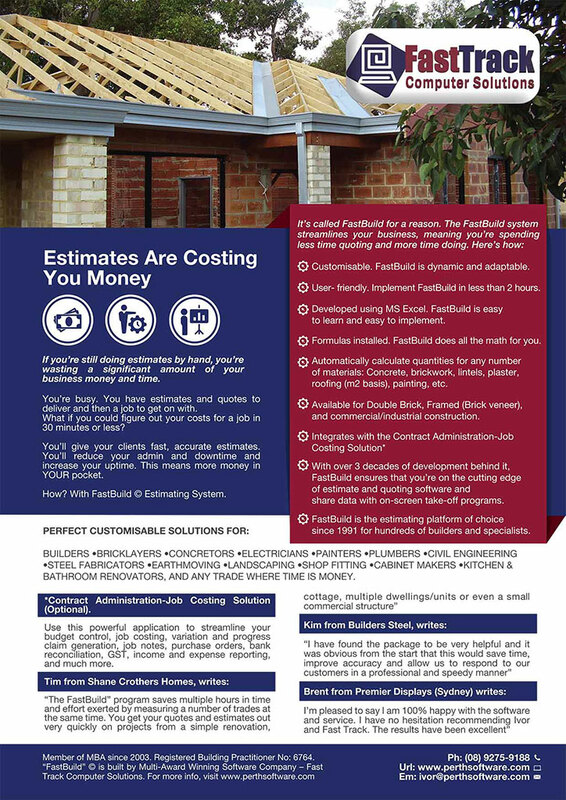 The FastBuild Building Estimation Module allows you to rapidly produce accurate, cost-effective and perfectly customised building and construction estimates for your clients. Simply stated, by allowing you to produce more quotes in less time, the FastBuild software brings in more work than manual estimation methods. 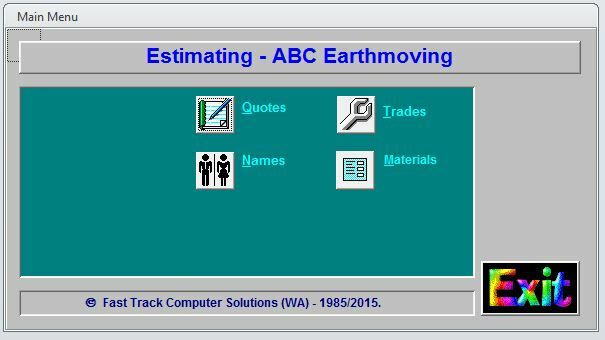 Since 1990, many 100’s of builders and contractors have benefited from our building and construction software solutions. Hands-on Microsoft Office solutions — so you can save time on paperwork with “FastBuild” Customisable system. We have over 40 years of experience in applied business, industry and project management software, so we know exactly what you need from your software and how you can get it. Not sure which software suits your business best? We have the answers. This month only we are offering a free software consultation to builders, tradies and engineers. Whether you already have a dedicated software system or not, Fast Track Computer Solutions can help take your business to the next level. We also offer Project Planning and Scheduling Services to assist your Project Management Team. © “FastBuild” Builders’ Software serving 100’s of Builders since 1985! Don’t waste any more of your precious time. This month only we’re offering a free consultation for builders, trades & engineers so call us now to find out what’s the best software solution for YOUR business. 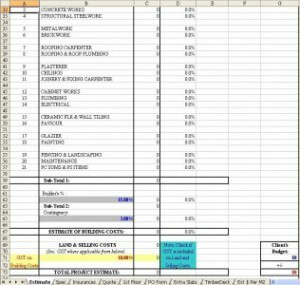 Our highly popular Spreadsheet based Estimating Systems will Save you an Unbelievable amount of Time! Call us to see why our Easy-to-Use Estimating System is the most popular in our State. Hundreds in use since 1984! The only training needed is when we demonstrate the package to you. These Software Solutions have been developed by Ivor Kosowitz. He is a Registered Builder, Member of the Australian Institute of Building, Planning & Cost Control Engineer, and an Accredited Trainer with over 41 years International and WA experience in the Construction Industry. Projects have included Residential, Commercial, Industrial and Infrastructure. Where applicable, we can interface your Accounting System with “FastBuild”. Fast Track is a Gold member of the Housing Industry Association (HIA), and the Master Builders Association (MBA), for over 20 years. Customisable Modules are available for Major Projects and Minor Jobs (click the links to find out more). All modules are configurable to National and World Wide-International Specifications. “FastBuild – FastJobs – FastSteel“ FastBuild is a suite of software modules which has been in development for all aspects of the construction and building industry since 1984. Hundreds of workers in this industry have benefited from software solutions which are very unique. All our modules have been developed using Microsoft Office Professional. Specialised consulting, programming, support and training services are also available. As a result we can CUSTOMISE a solution to your unique business requirements. Contact us to find out more. Maintenance and Jobbing Works Administration (In use by Plumbers, Building/Insurance Maintenance companies, etc). Strata Title Administration (Property Management). Building Owners Rent Roll (Tenant and Expense Tracking). *Note: “FastBuild” Myob or Quickbooks Interfacing has not been endorsed and is not supported by Myob Australia, or Quickbooks Australia. Fast Track Computer Solutions is a Network Member in the Microsoft Partner Network.